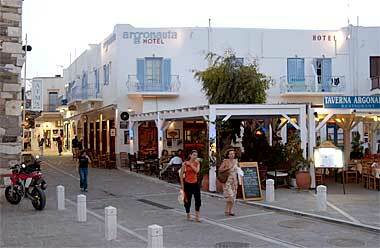 Hotel Argonauta is one of the top hotels found in the port of Paros, Parikia. 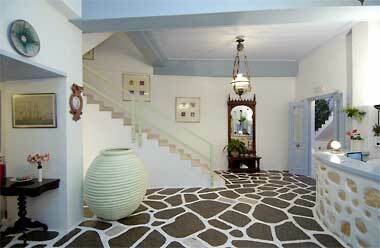 Its location is ideal for those who want to live in the center of town, yet have the luxury of a quiet place. 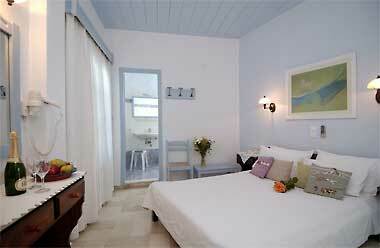 Its surroundings, its decoration and above all the warmth of the owners, the Ghikas family, make you feel that you stay in a Parian home. 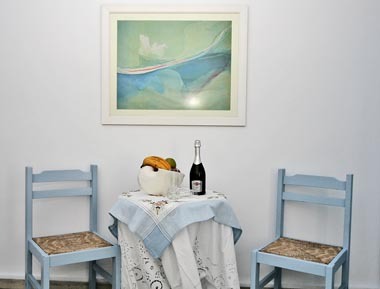 Staying at Argonauta, you are in the old town right at the entrance of the central Market Street, where you will find all kinds of traditional food-products, gifts and pieces of art, as well as clothes and jewelry. Every morning you wake up by the smell of baking bread coming from the bakery across the street. 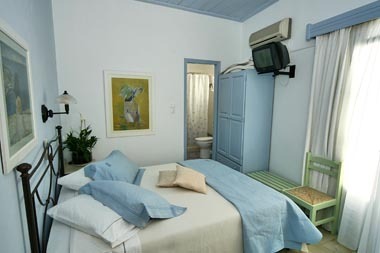 Strolling through the narrow streets of the old town one can get easily lost but you can always find Hotel Argonauta at the edge of the old town and along with it you will find a smile and warm hospitality, "a home away from home," recommended by some of the best-known travel guides. 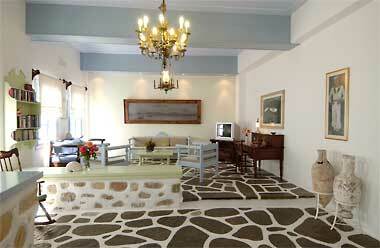 The hotel has been fully renovated recently. 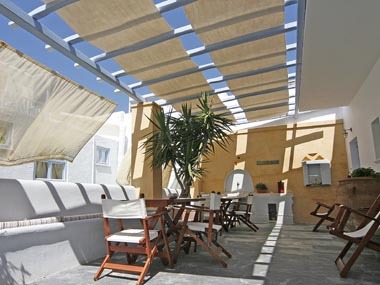 The hotel offers sunny rooms with balconies, an old-fashioned lounge with TV & DSL Internet, a roof terrace and an excellent restaurant/café where you can dine while your kids are having fun at the playground in front of you. 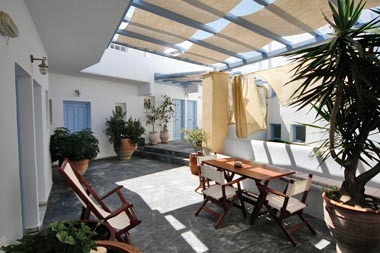 Argonauta is the perfect place for those who want to be close to everything and live in the Cyclades of an older time. 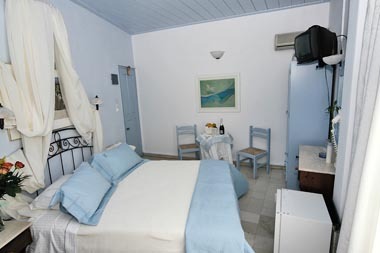 Hotel Argonauta is in heart of the town. 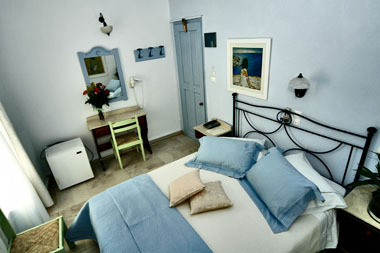 The port, the main square, the central bus station, with connections to all parts of the island, as well as Market Street and the seaside road, are right next to the hotel. All along the central Market Street, you find all kinds of fancy shops. 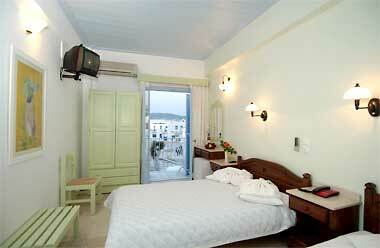 If you follow the sea-side road, you come across various restaurants and tavernas as well as many bars and clubs. The central beach is almost next to the hotel and there are small boats that take you to the sandy beach of Krios on the opposite side of the bay. Despite its position, the area is quiet at noon and nighttime.